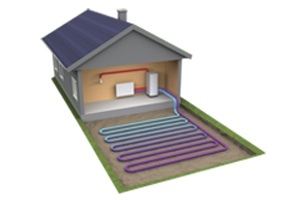 The efficiency of the system can be greatly improved if the heated water is kept as low as possible. 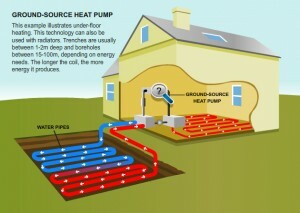 For this reason, underfloor heating, which my parents are installing throughout their new house, is highly recommended. For more technical details of how this was implemented in my parents new house you can view the details in the attached pdf.